Hi Doodlebug Fans! 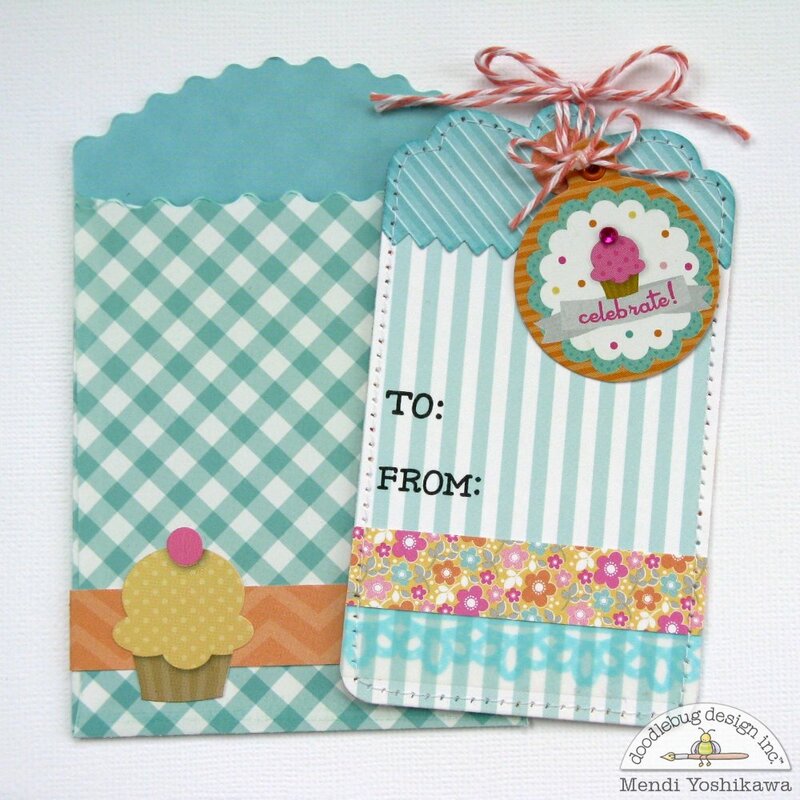 It's Mendi here and I'm thrilled to be sharing some Birthday Gift Tags with you today using Doodlebug's new Sugar Shoppe collection! I must confess that I've had this project on my "to do" list for a long time now... I'm super excited to have these on hand for upcoming kid's Birthday parties and for grabbing on the go! To keep my design process quick, I stayed with a simple, repetitive theme for each of my tags. I ran a 1-1/2" strip of paper through my die cutting machine a second time using a coordinating piece of paper to form the top of my tags. I then diecut the top piece with a decorative edge using Spellbinders On The Edge dies (would also work well with border punches or decorative edge scissors). Mendi...these are just too cute!! Such a great idea! Omg! So cute! 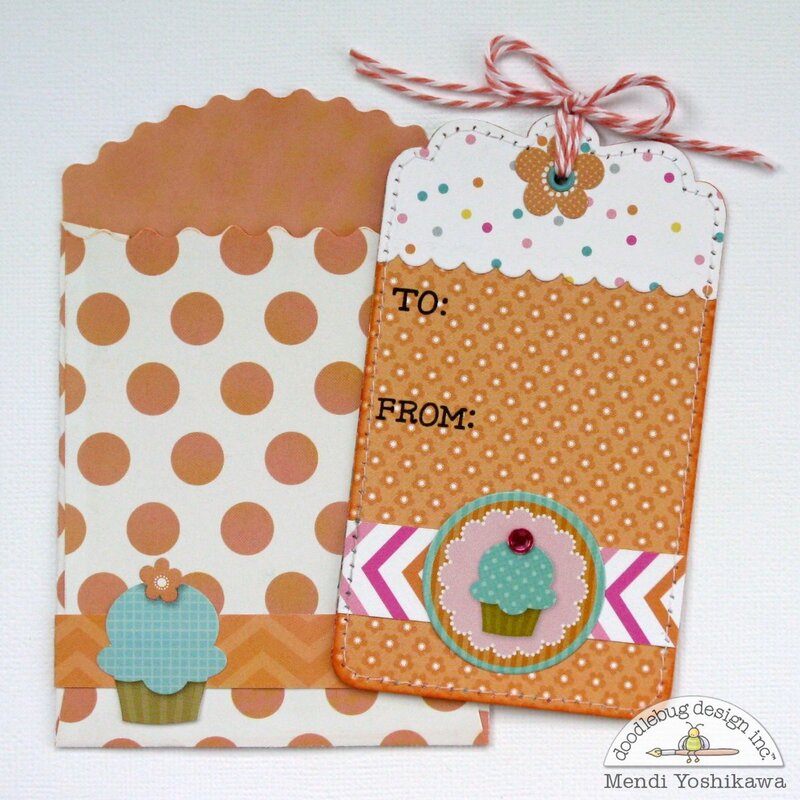 more creations with those cute treat bags! These are so adorable pairs!!! 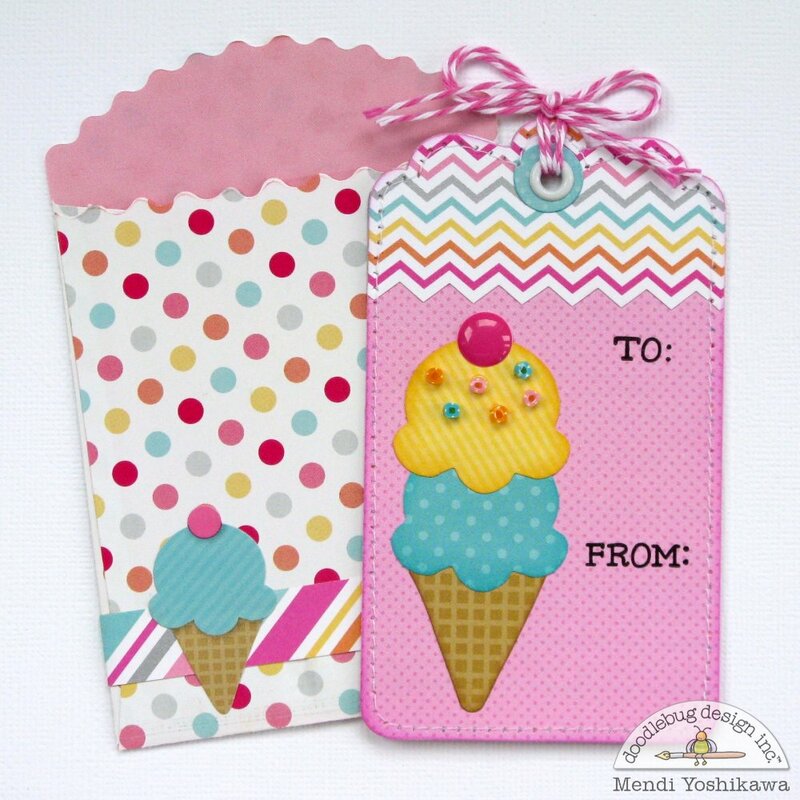 I love these cute tags! I pinned! very very fun, This would be a great gift idea. My daughter and I make card sets every year for Christmas. 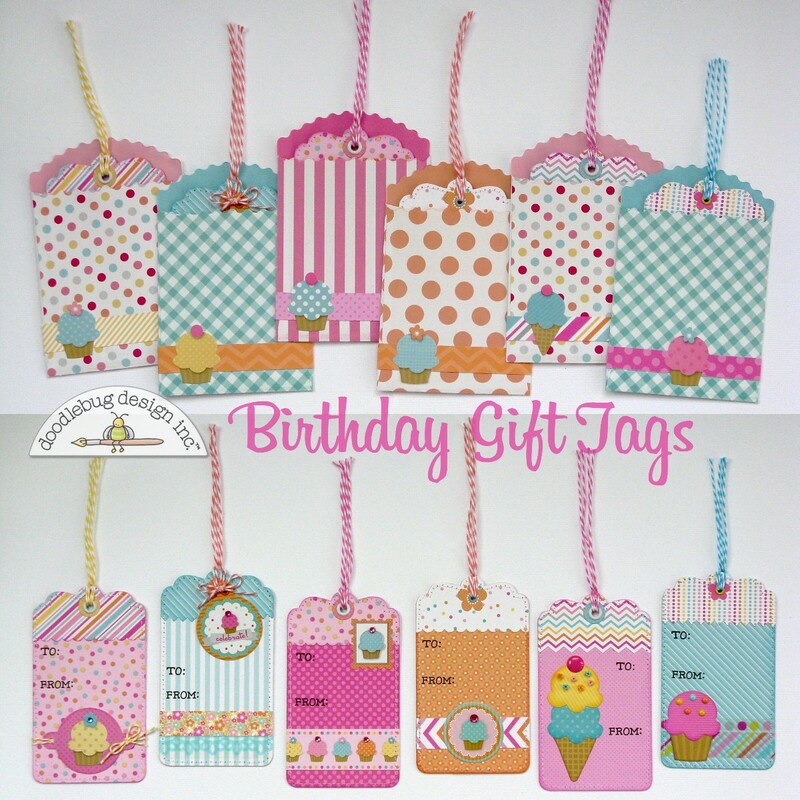 I think We should do some birthday tags. Great idea. 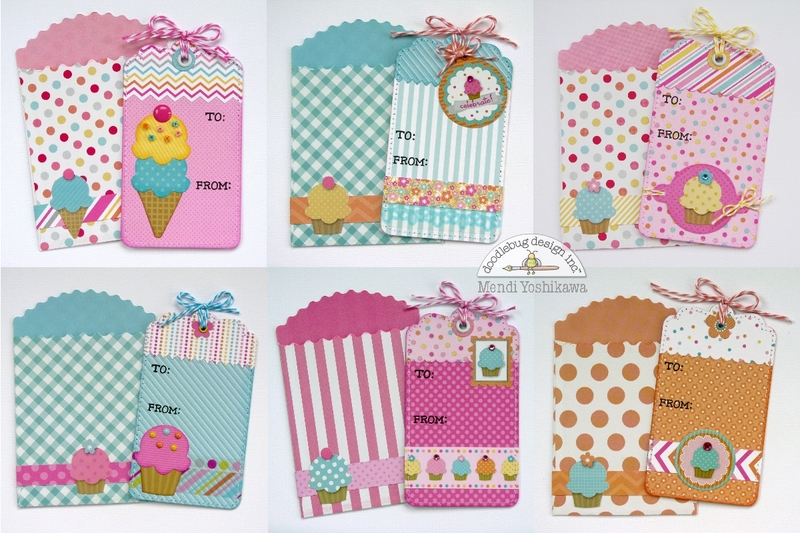 SWEET Treat Bags and SUPER CUTE tags!!! 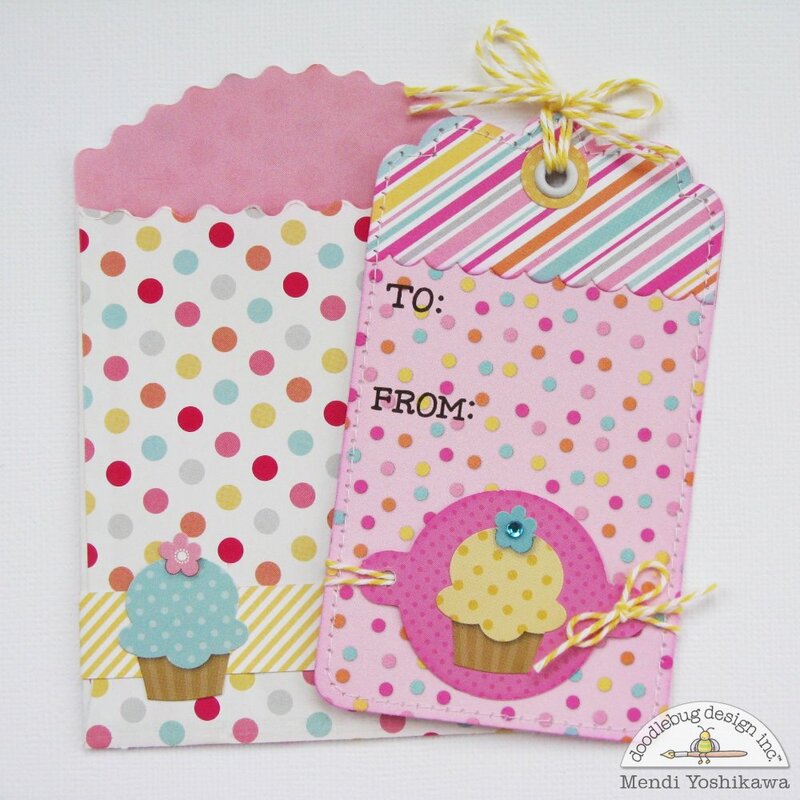 These are just too cute for words...and so colorful! 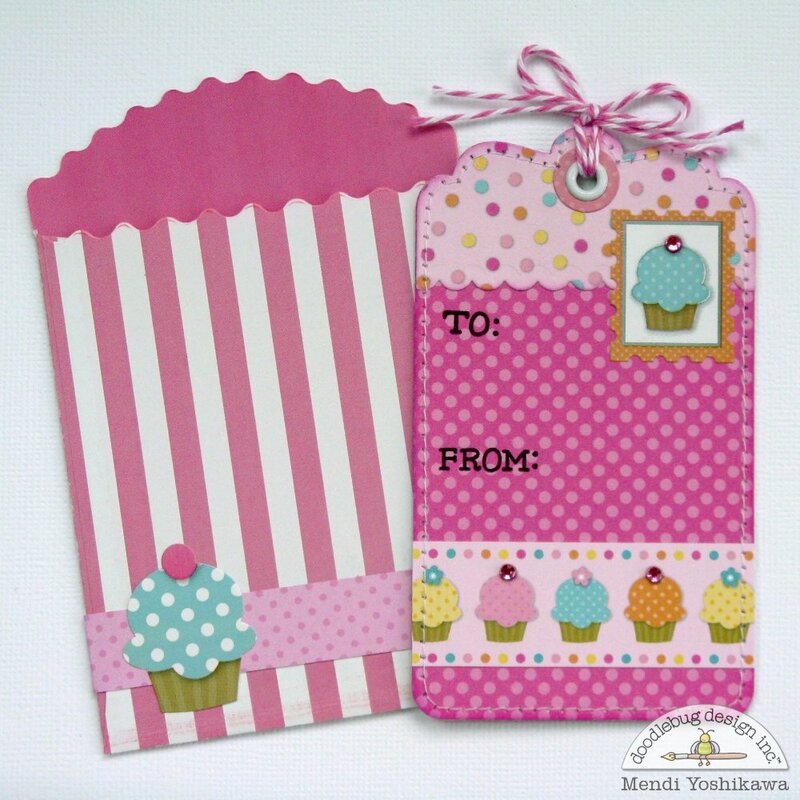 Love the idea of using the pixie flags in other ways too! This has made me want to get my decorative scissors out again!! I must make these!! With 7 girls of mine own they are always going to girlie parties and I love having fun girlie things to give them as presents! 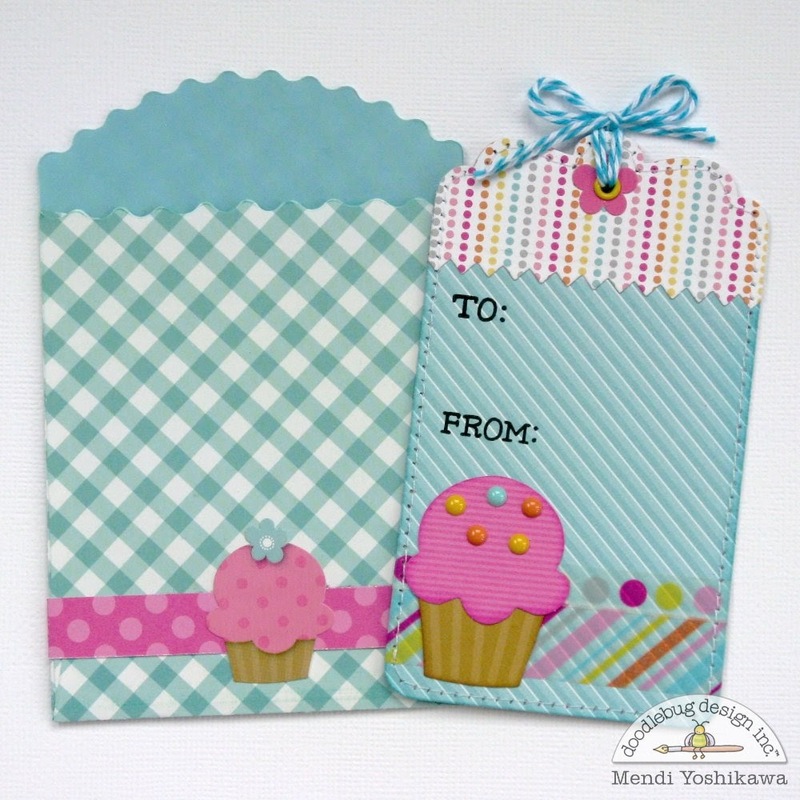 working from the 6x6 paper pad is an awesome idea for these and for other small items too!